Ships tomorrow if you order in the next 16 hours 58 minutes. 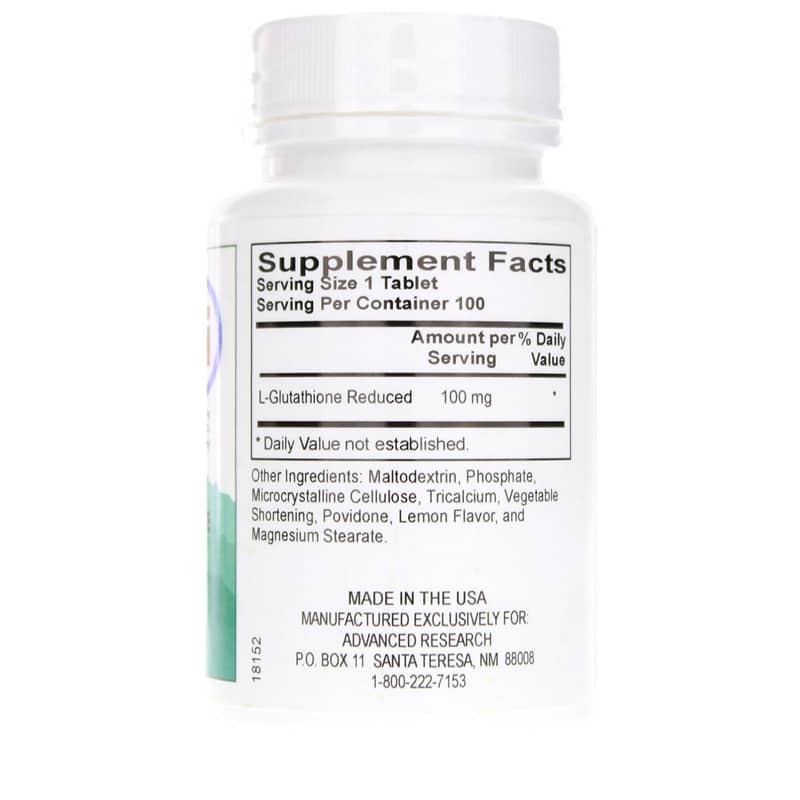 Glutathione is found naturally in your body, but is also one of the top deficiencies in the human body. Glutathione provides powerful antioxidant support for keeping your body protected from the damage that free-radicals can cause. 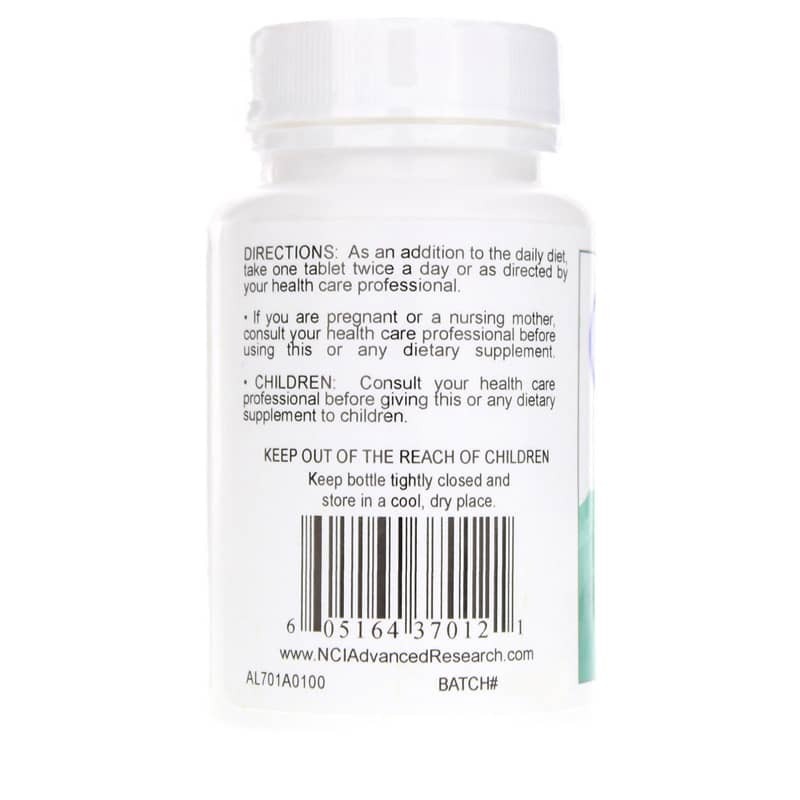 It also provides optimal support for your body's natural immune defenses against illness and infection. 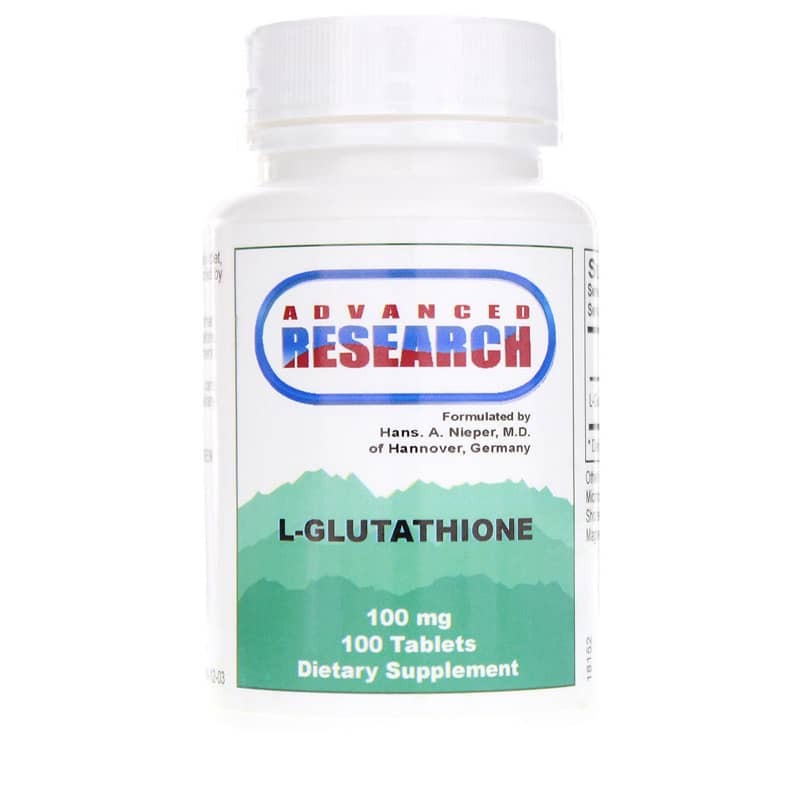 L-Glutathione from Advanced Research provides reduced glutathione to help support your overall health, as well as provides a defensive boost against free-radicals and illness. Advanced Research L-Glutathione provides glutathione that is key to optimal overall health. Keep your cells protected against free-radical damage and give your immune system a healthy boost. Give L-Glutathione a try today! Other Ingredients: Maltodextrin, Phosphate, Microcrystalline Cellulose, Tricalcium, Vegetable Shortening, Povidone, Lemon Flavor and Magnesium Stearate. Adults: As an addition to the daily diet, take 1 tablet twice a day or as directed by your health care professional.